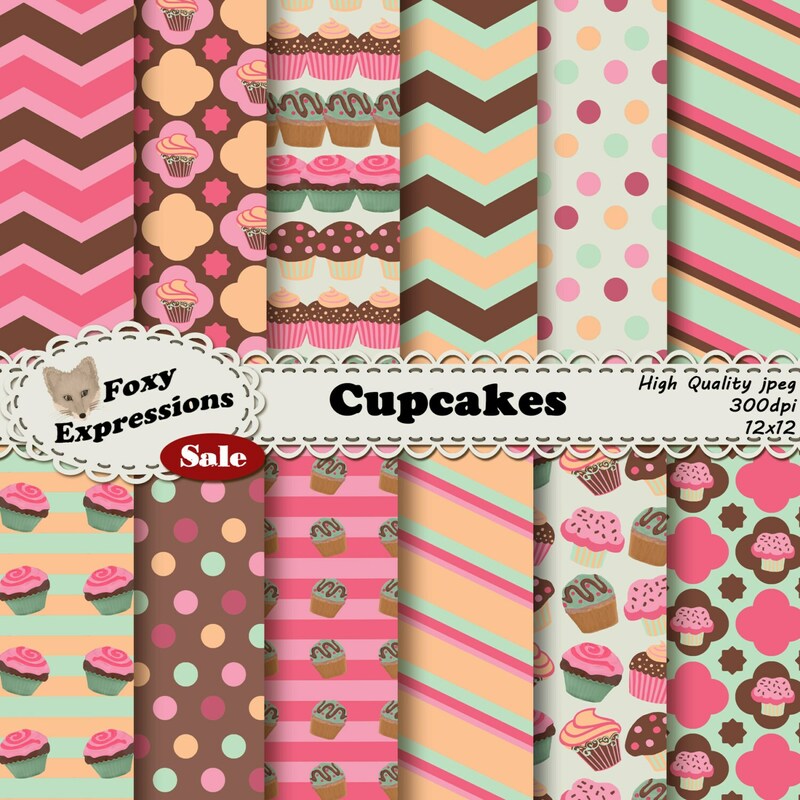 Cupcake digital paper comes in delicious colors of pinks, orange, green and brown. Designs include polka dots, chevron, stripes, & cupcakes! 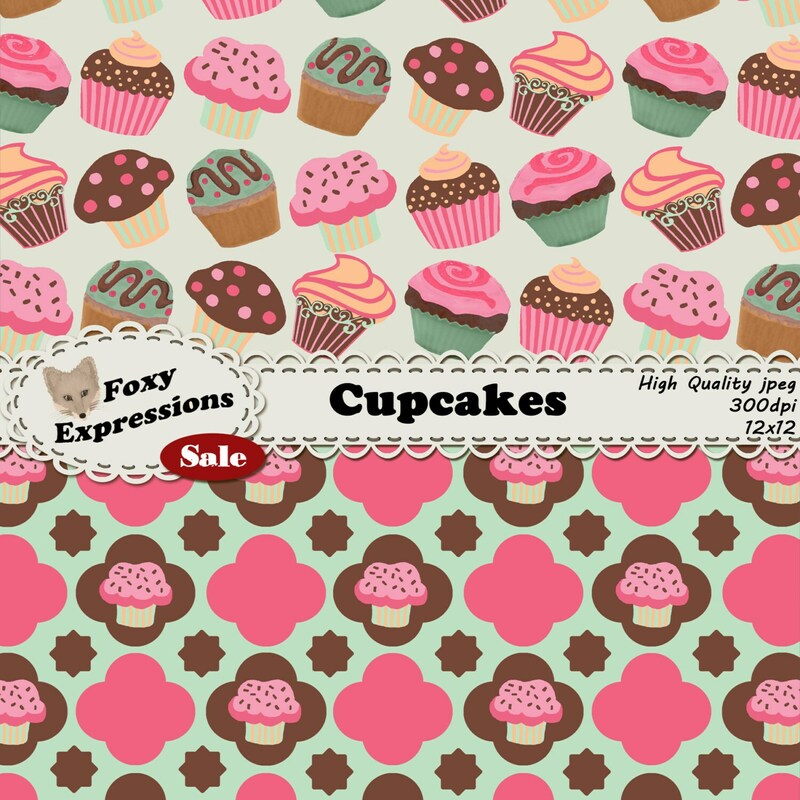 Cupcake digital paper comes in delicious colors of pinks, orange, green and brown. 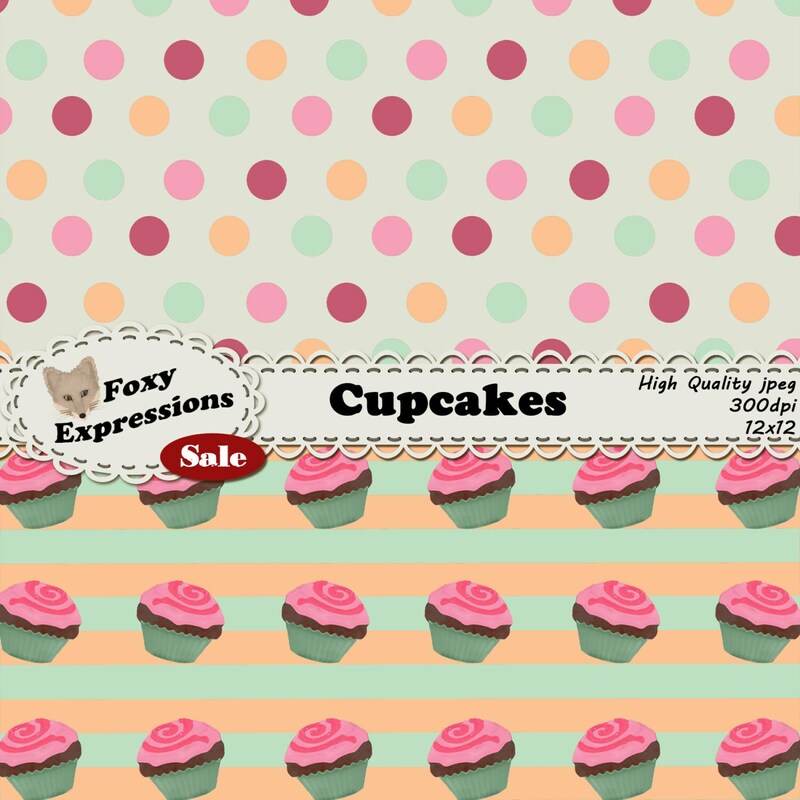 Designs include polka dots, chevron, stripes and of course cupcakes.